Food for the soul, or the hungry. You’ve traveled a long distance, or maybe not too long, but traveled nonetheless. You’ve arrived at the beautiful destination of The Abacos, and can’t wait to check into your room and begin exploring. As you’ve unpacked all of your things, and are ready to head out, you feel a grumble in your stomach. Airplane food and airport snacks just won’t cut it when you’re looking for some good eats. Of course you can always head on down to the Firefly Bar & Grill (listed below as this is a don’t miss destination) for lunch or dinner, but you can also head out on the town to a variety of restaurants that will surely fill you up before the hunger takes over! You’ll be sure to find plenty of delightful dishes ranging from many types of fishes to crabs, rock lobster, and conch. There is casual dining and if you want a fancier flare, you can find some upscale dining as well. Since there is an abundance of places you could eat, we will keep it simple and put our top 5 recommendations which will range in style and price. These are not in a particular favorited order. Wally’s – You can find this lovely pink colonial villa across from the marina on Bay Street. It’s dressed up with green grasses, white-railed verandas and hibiscus. You could say this is the most popular destination for food. You’ll find a mix of tourists and locals dining here, and won’t find a shortage of cocktails to quench your thirst from the stylish bar inside. There are three dining rooms with plenty of seating. Dinner is served every night except Sunday and the menu includes creamy curried shrimp, whole lobster or a filet mignon smothered in a mushroom sauce, as well as a daily sashimi. Don’t forget to save room for Bahamian bread pudding with coconut and raisins drenched in a brandy sauce! Da Blue Hole (Formerly Curly Tails) – Head over to the harbor for some lunch and dinner at Da Blue Hole at the Conch Inn Hotel and Marina. You can enjoy your meal outside on the open-air deck if you’d like. Lunch time calls for burgers, conch fritters or salads for the lighter fare. Dive into some tender mussels, pan kissed tuna or tasty risotto during dinner time. You can also find an assortment of sushi. This is also a great spot for island sunsets during happy hour. Abaco Inn Restaurant – Head to the main lodge for this gem. You will experience vibrant Bahamian colors and a breathtaking view of the ocean displayed through floor-to-ceiling windows. Grab breakfast, lunch or dinner in classic island style. Freshly baked bread, colorful fruits and a variety of egg dishes will help you start your morning during breakfast. Make sure you don’t miss some of the freshest seafood on the island like spicy cracked conch or grilled grouper during lunch. Bite into some yummy hot snapper, mahimahi or grilled wahoo for dinner. Ask for a table on the enclosed patio overlooking the ocean when you reserve your table! Pete’s Pub – You can find this outdoor tiki-hut restaurant and bar next to Pete’s Gallery. Enjoy wiggling your toes in the sand during dinner for a nice beach vibe. Make sure you try the coconut cracked conch, mango grilled grouper or grilled lobster salad. If you want to be a part of the local scene, don’t miss the wild-pig roasts during big events This can be a further drive for some, so we recommend calling prior to going to make sure they are open for dining. Firefly Bar & Grill – Many folks say Firefly is a don’t miss dining experience when visiting the Abacos, and we can’t disagree. Pull in with your boat, or head on over by land and grab some refreshing cocktails. You can’t go wrong with any drink since this gem is owned by the developers of Firefly Vodkas and the bar carries the full line. You may have some trouble choosing something to eat, though, with the extensive menu of delectable dishes. Of course you can’t go wrong with seafood, since that’s the speciality in this Abaco haven. Lunch and dinner are both served here, and you’ll find plenty of options for the little ones as well with the kids menu. Don’t forget we now offer Sushi on Tuesdays! YUM! Life’s a beach. Beaches of The Abacos. I’m sure we can all agree that if you’re heading to The Bahamas, you’re probably planning to spend time in the sun. Some people spend time in the water, some are on the water, and tons are enjoying my personal favorite; by the water. There isn’t much better than a perfectly sunny day, with a nice light breeze blowing in from the water and through the nearby palms while you sit and enjoy a good book or a refreshing cocktail atop the soft sands overlooking the beautiful blue waters. If you’re an avid beachgoer, you’re likely aware that beaches can be extremely different from one another and no two are the same. This isn’t a bad thing, because it makes visiting different beaches something to always look forward to, and a new experience each time. Depending on how long you’re visiting for, you may have time to visit all of these glorious spots, but if not, you can’t go wrong with any of them. Don’t forget that we have our own private beach at Firefly Sunset Resort where you can roll out of bed in your villa and get your toes in the sand. The Abaco Club on Winding Bay – At this private beach club, you’ll find beautiful views of the Atlantic Ocean. It’s secluded and relaxed but provides opportunities to windsurf, snorkel, kayak or enjoy water sports you love. If lounging is more of your thing, lounge away under a thatch beach umbrella. Treasure Cay Beach – This beach is highly desirable to many tourists thanks to it having some of the finest and whitest sand on earth. Not to mention the vibrant turquoise waters of the Sea of Abaco to look out onto. 3.5 miles of picturesque beauty. Calm waters are common here, and you won’t want to miss a sunset view from this spot. This beach was actually voted one of the 10 best Caribbean beaches and it’s no surprise why. Tahiti Beach – You’ll find this beauty south on Elbow Cay. You can only access it by foot, bike or by boat. Get ready for relaxation galore on this secluded beach with soft white sand and clear waters. You shouldn’t have a hard time nabbing a spot here. Most of the time you’ll find that the sandbars extend pretty far out into the water, keeping the waters shallow and calm for your enjoyment. Guana Cay Beach – It won’t be hard to nab your own piece of paradise along this seven-mile-long beach. Endless views of the Atlantic Ocean and white sands make this beach unforgettable. Depending on the time of year, the water can be a little rougher making snorkeling a little more difficult, but still enjoyable. Ocean Beach – You will find this beach on the eastern end of Abaco. There is no shortage of water spots including diving, fishing, sailing and windsurfing. This is also a great spot for beach bars and restaurants. This beach may be more crowded than others. Sandy Point Beach – A haven for shell collectors. This beach is located on the southwest tip of Great Abaco. Sandy Point is known for it’s large number of seashells, so bring your bucket and get ready to pick some beauties for your collection. Gilliam Bay Beach – If you prefer no breeze and some hot, hot heat, this is the beach for you. This beach is protected from the wind and only a 15-minute walk from the main town of Green Turtle Cay. As previously mentioned, you can’t go wrong with any beach and each offer a different style. With that being said, we kindly remind you to take care of our beaches like they were your own. Keep them clean of litter or debris, and respect the beautiful natural elements while you enjoy your stay in The Abacos. FOLLOW US ON INSTAGRAM TO SEE MORE BEAUTIFUL BEACH AND SEA VIEWS. If you ’re unfamiliar with The Abacos, they are a group of islands and barrier cays in the northern Bahamas. This 120-mile-long chain of paradise is home to beautiful beaches, warm breezes, sunshine and, you guessed it, scuba diving adventures. Now, if you’ve dived in the Bahamas before, The Abacos are a completely different experience. The waters are relatively shallow and most areas are 60 feet or less in depth. The fringing reefs you’ll find in these waters are extremely ornate. There is actually an extinct coral base with Star and Elkhorn corals growing on top creating the beautiful formations you will see. You’ll also find cathedral-like caverns in the form of an underwater maze as you’re swimming around. These tunnels formed from tidal flow hitting against the base reef. You’ll also be experiencing the third largest barrier reef in the world, which is saying a lot for a smaller island area. With more than 100 miles of reef to explore, the visibility is ideal in the turquoise waters, and is usually over 100 feet. Of course, weather can affect visibility, but with lots of sunshine, The Abacos are considered a great diving destination all year round. Just a heads up, June through October is hurricane season and October to June is considered best for shark diving. Be ready to experience lush coral gardens, steep drop-offs, plenty of fishes and even friendly sharks and rays. If you aren’t a diving aficionado, or are in need of a lesson, they are available. Here are some places you can work with to get your feet wet. Lesson prices vary by each company and can range from $150-$350. If you are already an avid diver, you can pay for dive excursions as opposed to lessons. If you are already a certified scuba diver and are able to dive on your own, remember to bring your certification card for proof. Otherwise, you will not be able to venture off on your own, or will have to complete lessons again. The Abacos are considered a great place to learn how to scuba dive. Before you venture out and “dive in,” you will first be introduced to all the pieces of scuba gear. Generally, with each of the businesses listed above, you will spend the first few hours learning on land and in a pool. This gets you comfortable with breathing underwater and you will learn skills like clearing your ears and how to use your buoyancy compensator (BC) inflate/deflate valve and how to ascend/descend properly. Some of the gear you can expect to learn about includes a face mask, BC, regulator, wet suit, tanks, snorkels, weight belt/weights, and fins. Once you’ve completed your informational session, your instructors will take you out to the beautiful reef for some diving action. Have no fear, you won’t be left completely alone when you are out on the water. Your instructors and scuba companies will be with you each step of the way to make sure you are comfortable and safe. For those who want to expand even further than just initial scuba lessons and a single experience on vacation, you can also work on getting your own scuba certification. If you will be in The Abacos longer than four days, that is plenty of time for you to get scuba certified. If you would prefer to get certified with a local dive center near you, it can take a few weeks since classes are generally one to two times per week. PADI (Professional Association of Divers) classes are what are widely offered on the island. Again, if you are certified when coming to visit The Abacos and plan to dive, please bring your certification for proof. More advanced divers can further their experience and gain other certifications, or take courses like advanced open water, air diving, underwater photo and several others. There is even an option at many locations to become a dive master if you are looking to make a career out of scuba diving. The northernmost island of Walker’s Cay has one of the most unique shark dives in all of The Bahamas. You can see groups of up to 150 sharks coming together when dive boat engines turn on in what looks like a coral arena. The sharks eat bait while divers can swim around with them. It may sound a little scary, but your dive instructors and guides will keep you safe. If you are ready to get your dive on, reach out to one of the local companies above or feel free to ask around at the Firefly Sunset Resort for some help, as someone will always be happy to help you have fun! Are you planning to come visit the beautiful islands of The Bahamas soon? If you’re not, we highly recommend you do. While all the islands are captivating in their own ways, there is a special place in our hearts for The Abacos, specifically Elbow Cay. The turquoise waters, long stretches of sandy beaches, abundance of sunshine and wonderful locals are only a few things that should make this high on your destination list. Even though there are obviously dozens upon dozens of activities and things to see and do here, we are going to focus on what is seemingly most popular. These are not in order of ranking, they are simply the highest ranked or sought after activities and places for visitors in Elbow Cay. Sport-fishing Charters – Plenty of water means plenty of fish! If you’re a fishing fan, you won’t want to miss hopping aboard a sport-fishing charter. There is opportunity for reef fishing, deep sea fishing and fly fishing. We recommend two local companies you could use and get some yummy and large catches with. The first is A Salt Weapon Sportfishing Charters. The second is Local Boy Deep See Fishing. It will cost you a pretty penny at $500 for the half day and $800 for the full day with either company, but it’ll certainly be worth every cent. Boats leave from the main dock in Hope Town Harbour at 8:00 a.m. Make sure you bring sunscreen, a sun hat, cameras and drinks of your choice. Wyannie Malone Historical Museum – This historical gem is in downtown Hope Town. If you are a history buff, or even just want to learn more about local heritage, then you should pop into the museum. Inside, you will learn about pirates, rum-runners, Lucayan Indians and wreckers. Gaze upon displays of ship building and ship wrecks and even hurricanes. The museum operates from November until August between 10:00 a.m. and 4:00 p.m. Adult ticket prices are $5 and children 5-14 are $2. Water sports – Next up is some true fun in the sun, and the water. If you aren’t interested in diving deep into the water for scuba, you have the option to check out some other fun activities. These include snorkeling, kayaking , kiteboarding and paddle-boarding. If you are looking to enjoy one of these activities or any other water sports that may be offered, please reach out to our front desk as they can certainly assist you with rentals nearby. We do offer complimentary kayak rentals at Firefly Sunset Resort that you can enjoy. Bicycle Rentals – The island wouldn’t be complete without bicycle rentals! If you want to do all the leg work, and aren’t interested in a golf cart, bicycles are surely the way to go. You can take a bike to the beach, to dinner, or just for a nice ride in the sunshine. You can check out The Bike Shop, Harbour’s Edge, Sun Dried T’s and A&S for all your bike rental needs. Elbow Reef Lighthouse – Of course we couldn’t leave out this landmark. The Elbow Reef Lighthouse is probably the most recognizable landmark in this area. The red and white stripes can be seen from afar, and you’ll certainly want to see this up close, too. This lighthouse is actually one of the last manual lighthouses in the world. The lamp burns pressurized kerosene oil with a wick and mantle. The fresnel lenses concentrate the mantles light into a beam directed straight at the horizon Whoever is on duty as the lighthouse keeper has to wind up the weights every two hours in order for the lighthouse to be seen from 17 miles away. You can visit the lighthouse Monday through Saturday 9:00 a.m. – 6:00 p.m. It is closed for visitation on Sundays. If you aren’t afraid of heights, go ahead and climb the 100 feet to the top, and make sure your camera is ready for some beautiful photo ops. Tahiti Beach – If you’re unaware, Elbow Cay is known for it’s absolutely beautiful beaches. One in particular is Tahiti Beach. This isolated beach is at the far end of Elbow Cay. You can expect to see sparkling waters and white powdery sand. You can only access this beach on foot, or by riding a bicycle across sand and gravel paths from Hope Town, or you can take a private boat. Get ready to perfect your tan and hit the maximum level of relaxation when you decide to visit Tahiti Beach. Obviously you can’t go wrong with anything you choose to do when you visit Elbow Cay. There will always be fun in the sun, sand and water. REMINDER – Firefly Bar & Grill will be closed starting TUESDAY, SEPTEMBER 25 until TUESDAY, OCTOBER 16. Stay tuned to our Facebook, Twitter and Instagram pages for updates. Thank you for your patience and understanding! Getting married in the Bahamas or Firefly Sunset Resort? You must obtain a marriage license from the Bahamas. The couple must be in The Commonwealth of The Bahamas at the time of application for the marriage license. If you arrive via cruise ship, you’ll be required to obtain a letter from the Ship’s Purser/Guest Services confirming that you have met the residency period by being in Bahamian waters for 24 hours. You need not apply for a license if you wish to renew your vows. Please note: Marriage licenses and certificates are issued at the office of the Registrar General in Nassau. This office is open to the public Monday through Friday between the hours of 9:30 a.m. – 4:00 p.m. Couples may apply a day after their arrival and can be married once they receive their approved license the day after application. Both parties must produce a valid passport, birth certificate, and photo ID. The parties must also produce evidence of the date of their arrival in The Bahamas. The Bahamas Immigration Card or entry stamp in your passport will suffice. Two witnesses, who are at least 18 years old, must sign your marriage license. If it’s just the two of you, witnesses can be provided. The fee for a marriage license is $120, inclusive of one certified copy of a marriage certificate. Extra marriage certificates are available at $20 each. Many countries now require that official documents, such as international marriage certificates, be certified by the issuing country. In The Commonwealth of The Bahamas, this means that an Apostille (a special seal) is applied by the relevant authority to certify that a document is a true copy of an original. The Apostille can be made available to you within 30 days of the request; the cost for each one is $120. Your wedding planner or marriage officer will assist you in this regard. If either party has been divorced, the original final decree or a certified copy must be produced. Where applicable, a translated, certified and notarized copy of the final decree must be produced. Minors (under 18 years) may be married with both parents’ consent. Consent forms for minors are available at the Registrar General’s office. If either party is single and has never been married before, a declaration certifying this fact must be sworn before a notary public or other person authorized to administer oaths in the country of residence. This document must accompany the application for the marriage license. This declaration can also be obtained in The Commonwealth of The Bahamas from an attorney-at-law or notary public. If either party is widowed, the original death certificate or certified copy must be produced. Where applicable, a translated, certified and notarized copy of the death certificate must be produced. Couples wishing to be married on islands outside of New Providence and Grand Bahama Island can obtain a marriage license at the Administrator’s Office on that island. 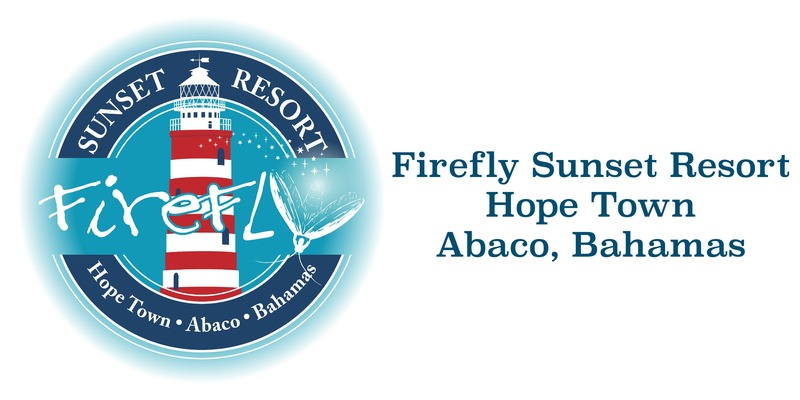 If you will be visiting the area between September 25 – October 16, 2018 – please note *** Our Firefly Bar & Grill will be CLOSED. During that time, we will be adding upgrades and sprucing up the restaurant as we do annually. Thank you in advance for understanding. NEWS: The Boutique at Firefly has new hours. They are open daily from 9:00 am to 4:00 pm. We get new, unique gifts, accessories, clothing and more often, so please stop in and shop!